Samples are excited from the side by a focused light sheet while the fluorescence light is detected by a sCMOS camera perpendicular to the illumination plane. 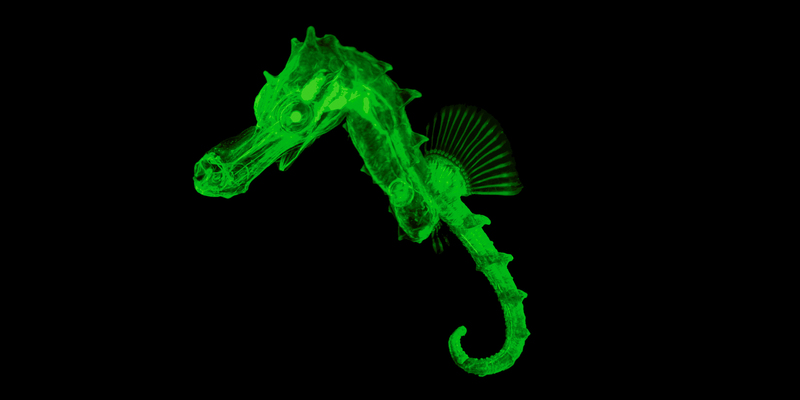 3D image stacks are generated by moving the sample through the light sheet. Separated illumination (excitation) and detection (emission) beam paths. 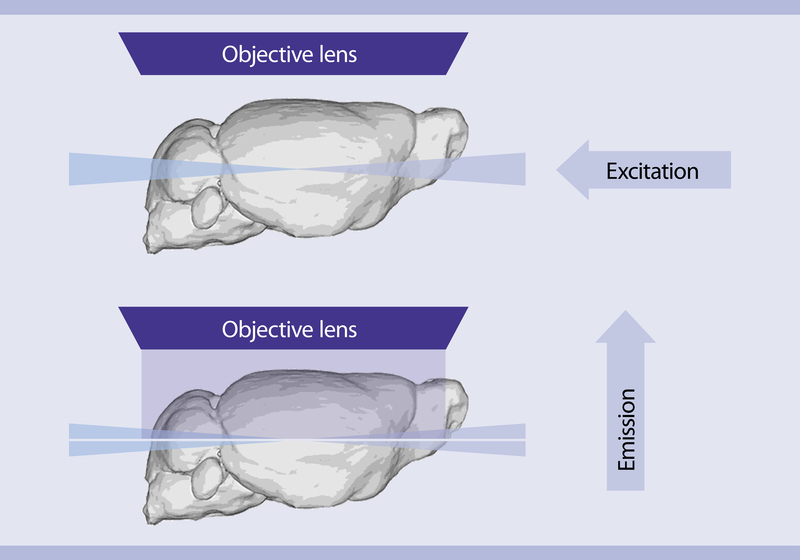 Illuminating only the focal plane of the detection objective lens allows 3D microscopy utilizing a camera-based wide-field microscope with high frame rates. 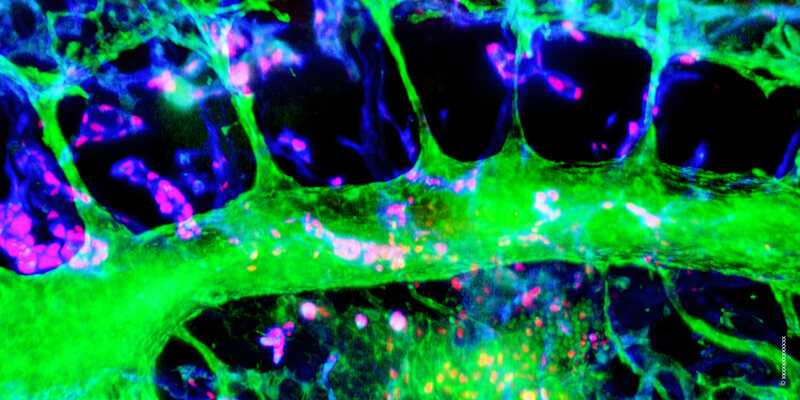 As only the actually observed section is illuminated, photodamage and fluorophore bleaching are kept at a minimum.